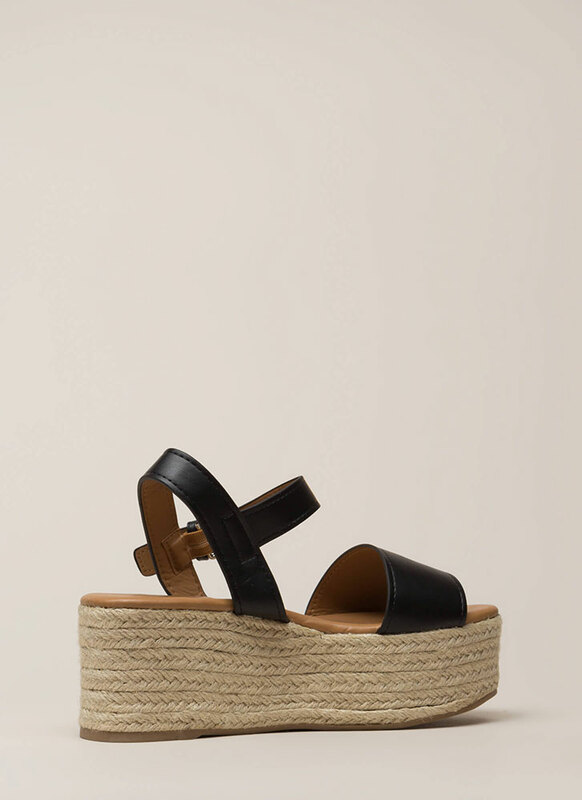 Our platform? 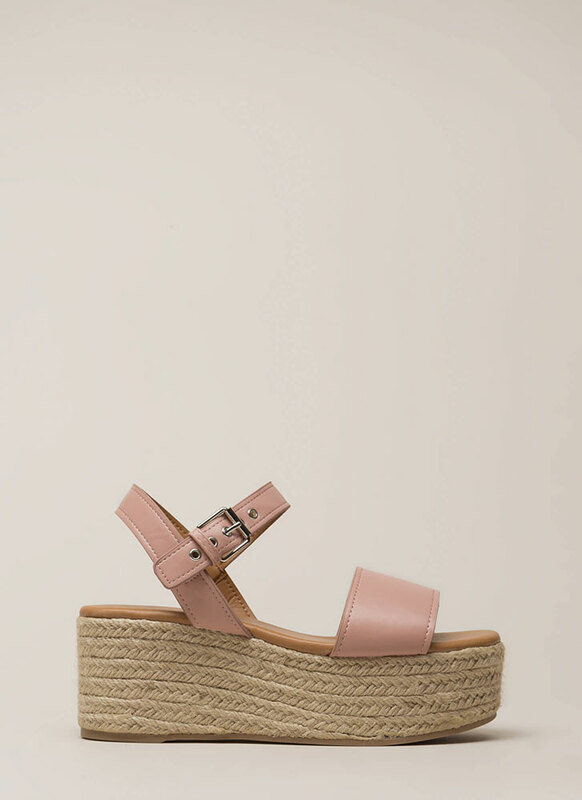 Making sure our customers get the newest and cutest in shoes! 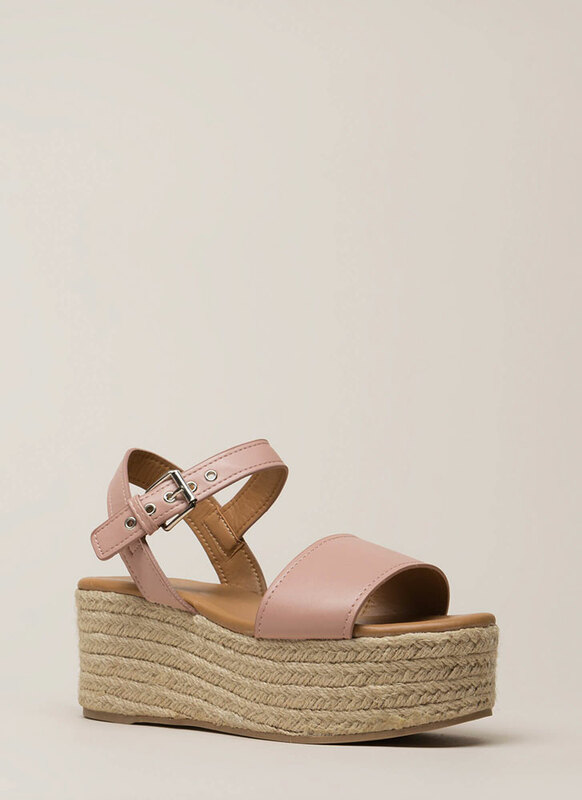 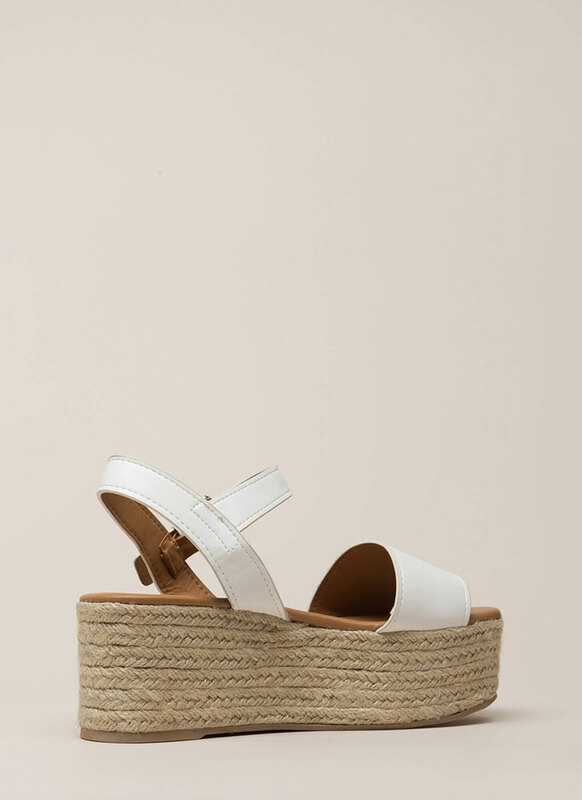 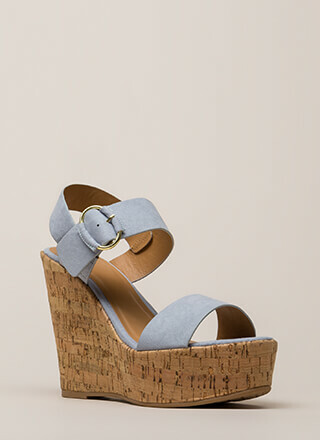 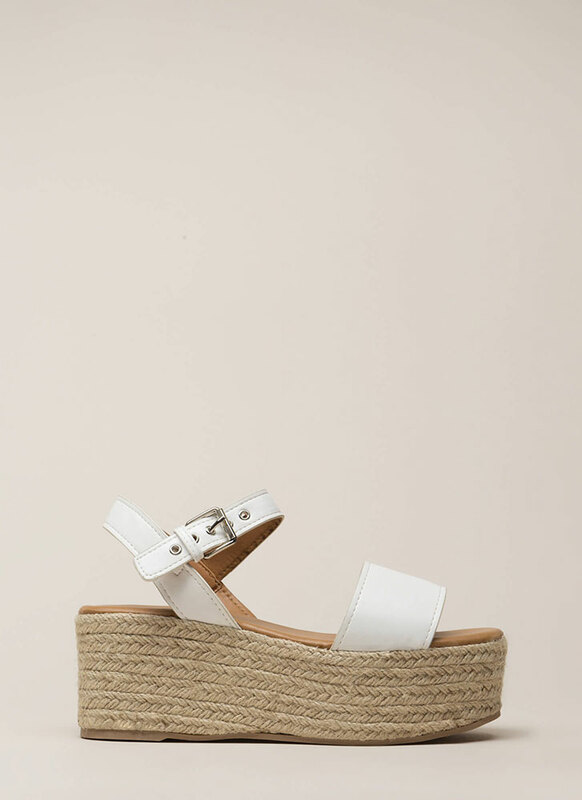 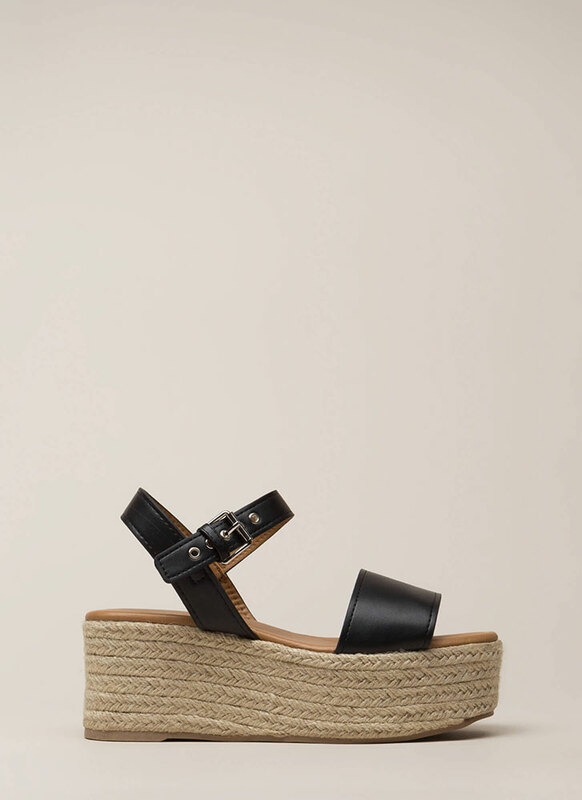 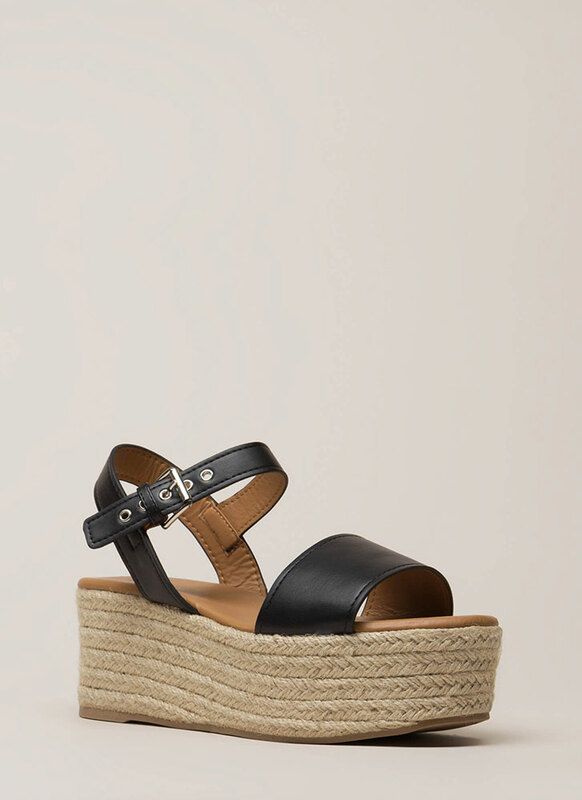 Open-toe vegan leather espadrille wedges feature an extra wide toe panel, an ankle strap with punched grommets and an adjustable buckle, as well as a super thick platform covered in braided jute trim. 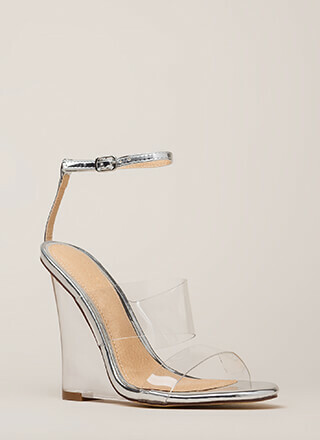 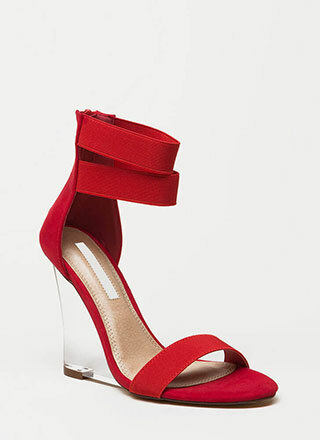 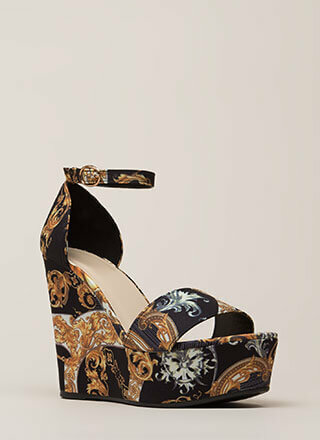 Shoes are finished with an exposed heel and a ridged sole.